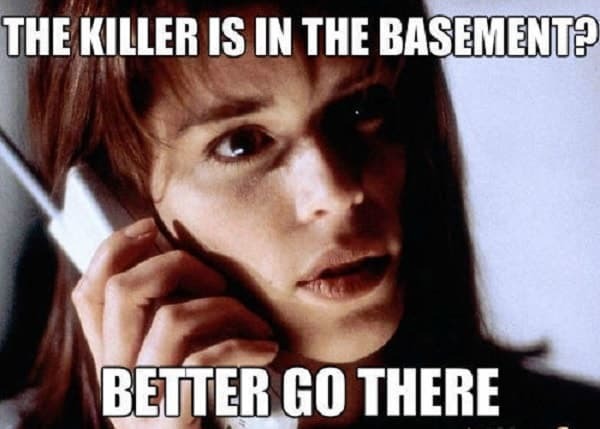 If you’re a horror movie buff, you’ll absolutely love these killer horror movie memes. With just the right amount of freakiness, paired with a wickedly witty tagline, these memes can both keep you on edge and get you laughing nervously at the same time! Just don’t browse these in total darkness, or you might start seeing things in the shadows. 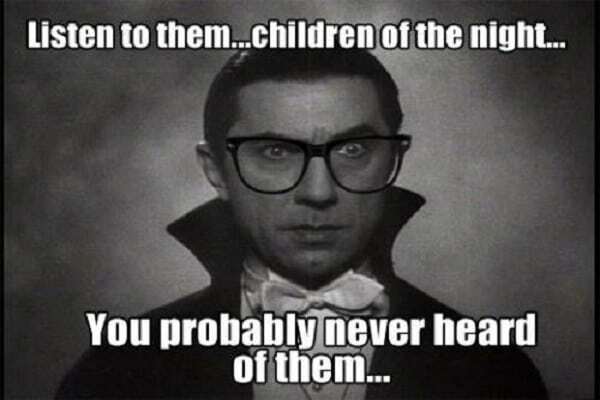 Horror movie fanatics are renowned for their dedication to the films. Building a tolerance to fear, or just totally embracing the fright at every scene, people across the world are addicted to haunting tales of darkness, evil and dread. 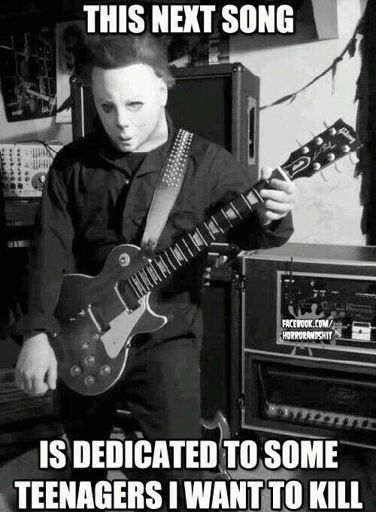 We’re not surprised that a wave of horror movie memes has followed in their wake. Injecting humor into otherwise horrifyingly scary scenes is a match made in hell. 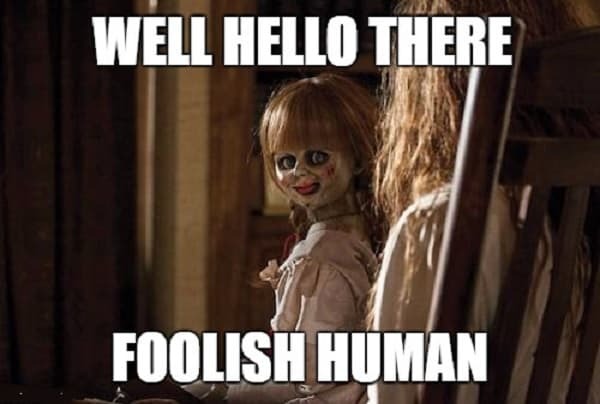 These memes draw scenes from famous horror films, capturing that moment you jumped out of your seat at the jump scare, and adding an appropriately creepy message alongside it. Or maybe it’s making a parody of an otherwise scary character or location. Either way, these memes are best enjoyed with all the lights switched on, and the front door locked and bolted, just in case. 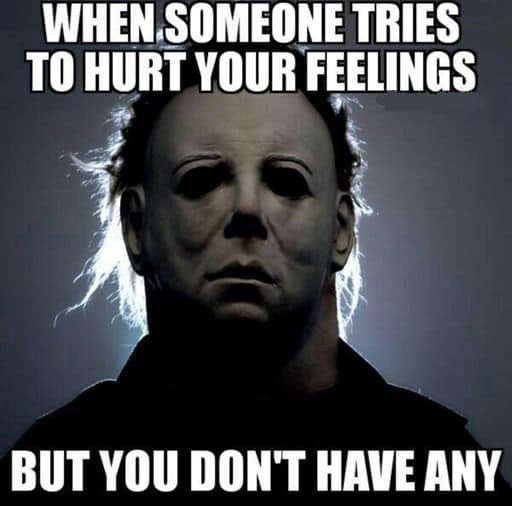 You can also read funny positive memes to ease yourself after watching these horror movie memes. 1. 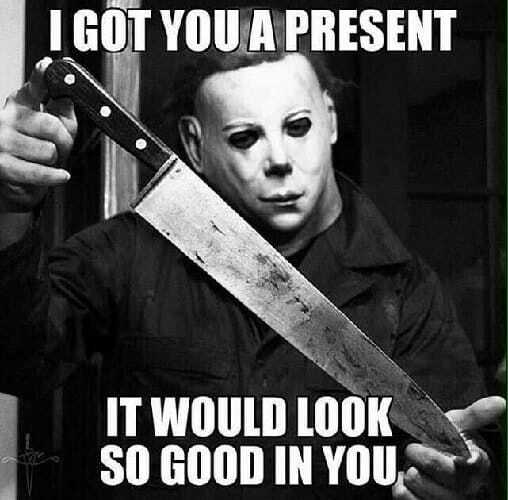 I Got You A Present. It Would Look So Good in You. 2. 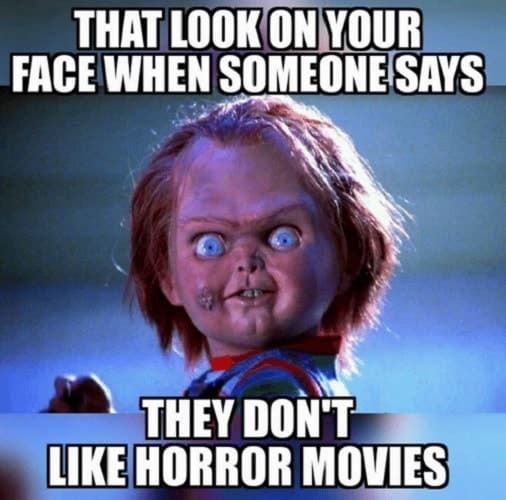 Your Freind Hates Horror. You Hate Your Friend. 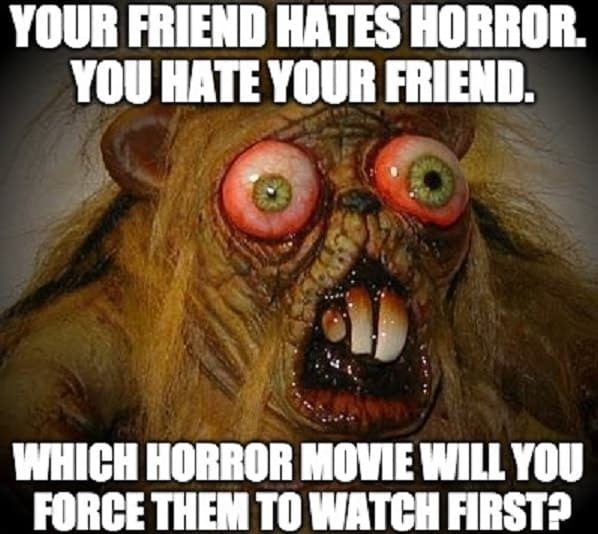 Which Horror Movie Will You Force Them to Watch First? 4. 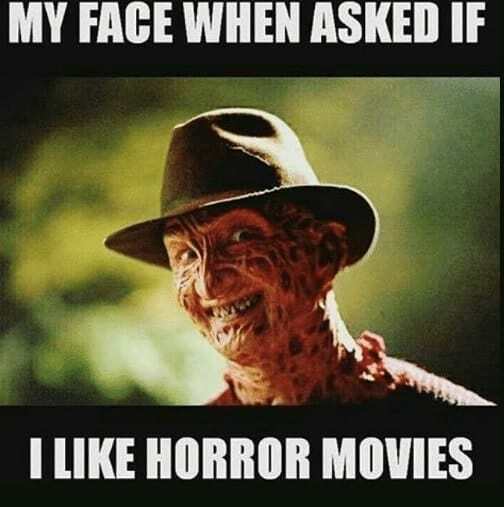 My Face When Asked If I Like Horror Movies. 5. That Look on Your Face When Someone Says They Don’t Like Horror Movies. 6. 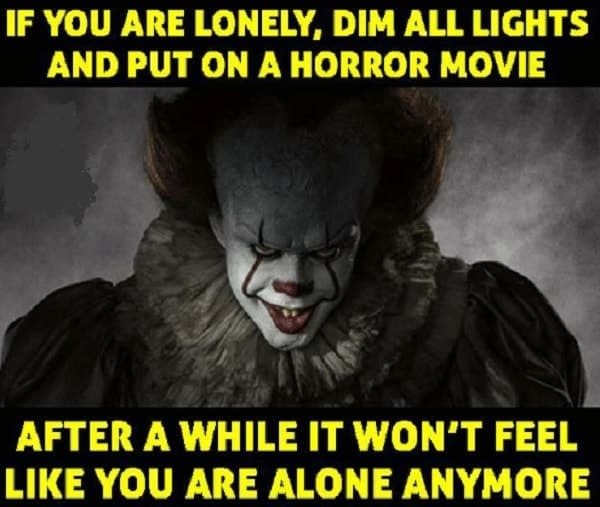 If You Are Lonely, Dim All Lights And Put on A Horror Movie. After A While It Won’t Feel Like You Are Alone Anymore. 7. 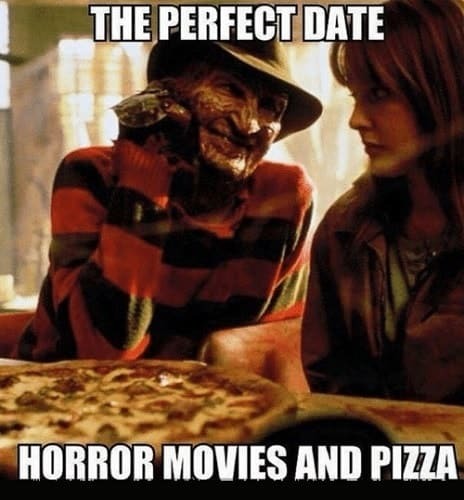 The Perfect Date. Horror Movies And Pizza. 8. Your Hair Is So Beautiful. 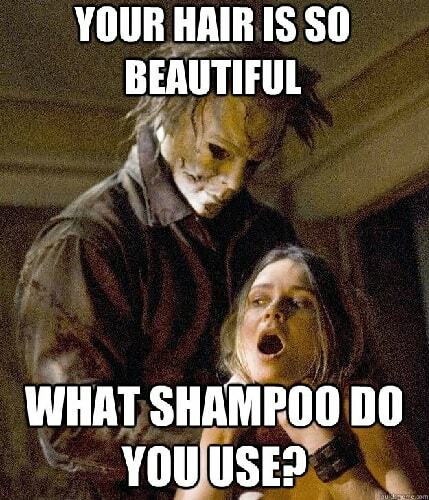 What Shampoo Do You Use? 9. The Killer Is in The Basement? Better Go There. 10. 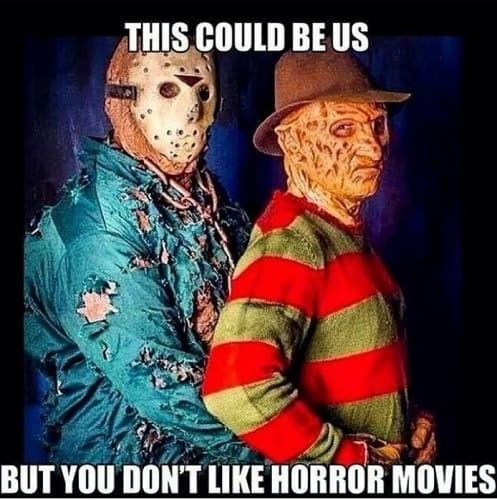 This Could Be Us But You Don’t Like Horror Movies. 11. When Someone Tries to Hurt Your Feelings. But You Don’t Have Any. 12. 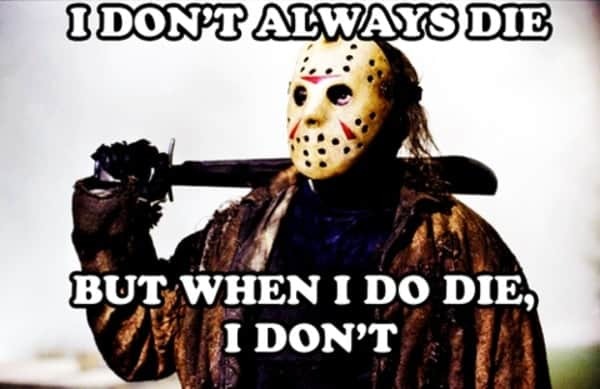 I Don’t Always Die But When I Do Die. I Don’t. 13. 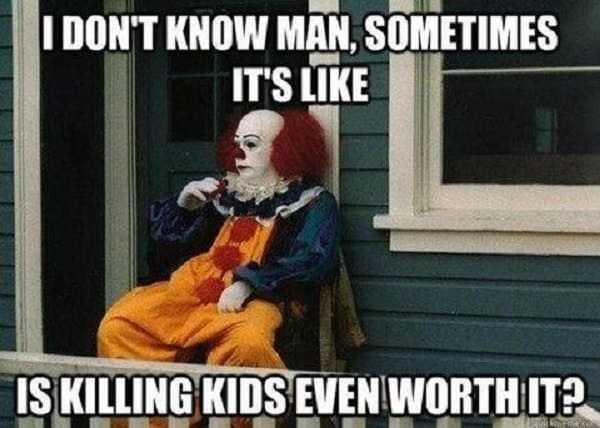 I Don’t Know Man, Sometimes It’s Like Is Killing Kids Even Worth It? 14. 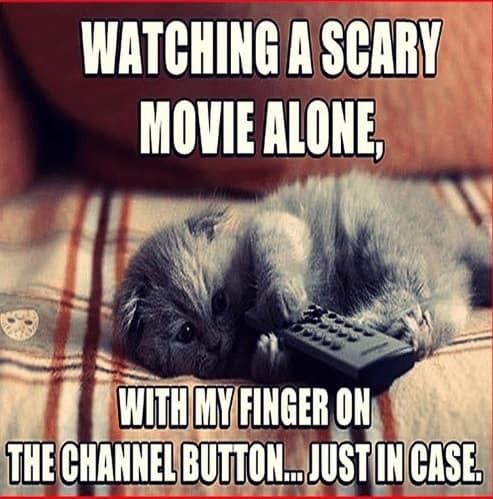 Watching A Scary Movie Alone, with My Finger on The Channel Button… Just In Case. 15. 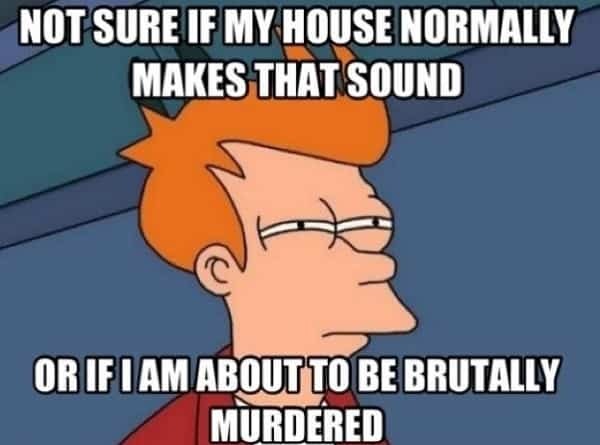 Not Sure If My House Normally Makes That Sound or If I Am about to Be Brutally Murdered. 16. 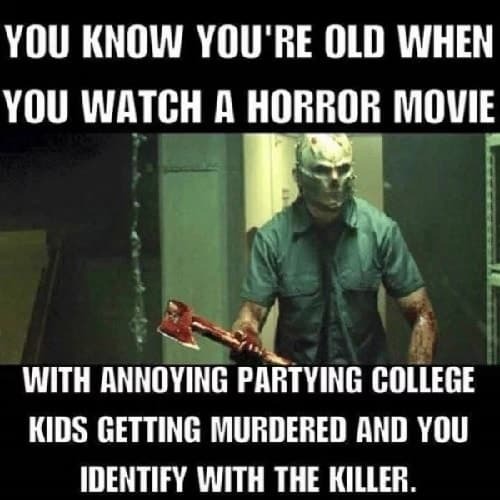 You Know You’re Old When You Watch A Horror Movie with Annoying Partying College Kids Getting Murdered And You Identify with The Killer. 17. Violets Are Blue And Blood Is Red. 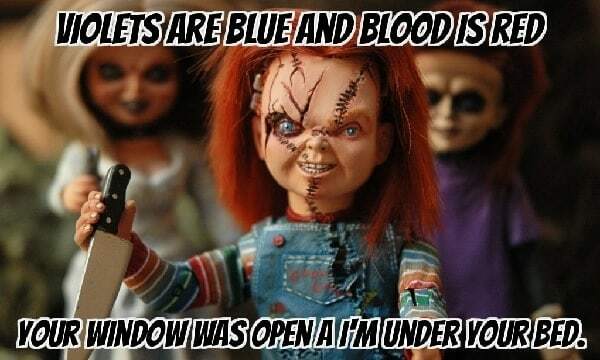 Your Window Was Open And I’m Under Your Bed. 18. Get Out of There! 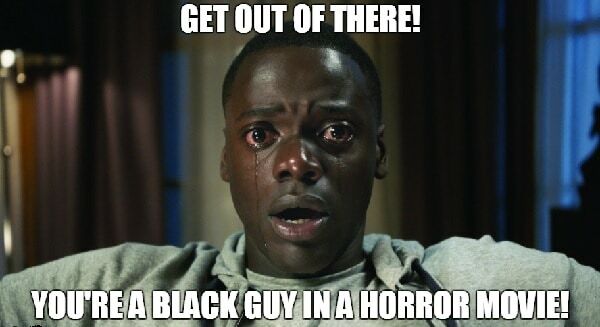 You’re A Black Guy in A Horror Movie! 19. 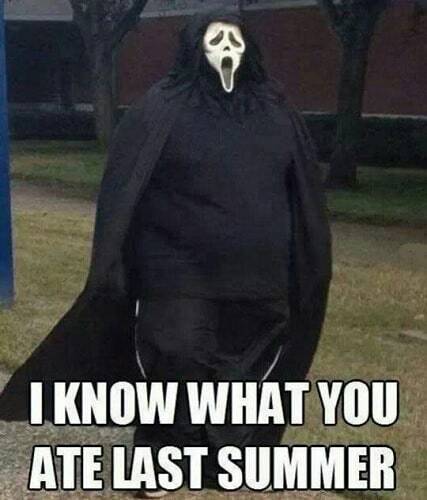 I Know What You Ate Last Summer. 20. This Next Song is Dedicated to Some Teenagers I Want to Kill. 21. 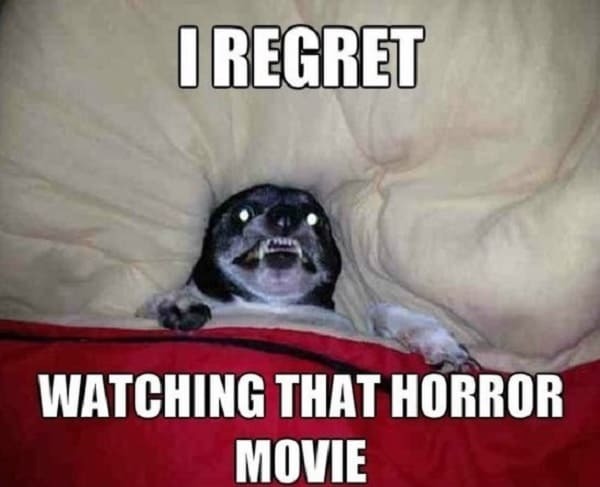 I Regret Watching That Horror Movie. 22. 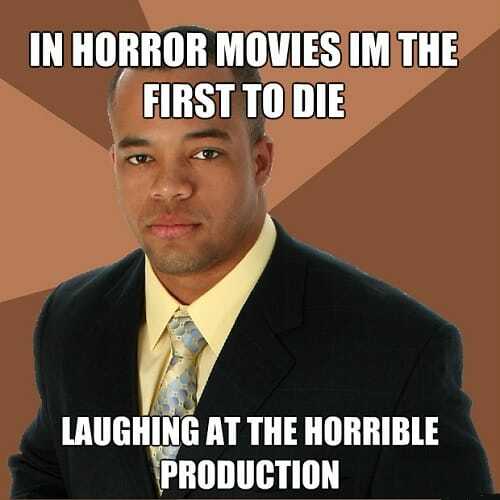 In Horror Movies I’m The First to Die Laughing at The Horrible Production. 23. 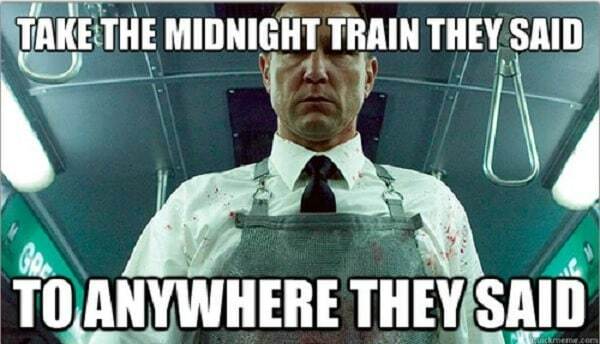 Take The Midnight Train They Said to Anywhere They Said. 24. 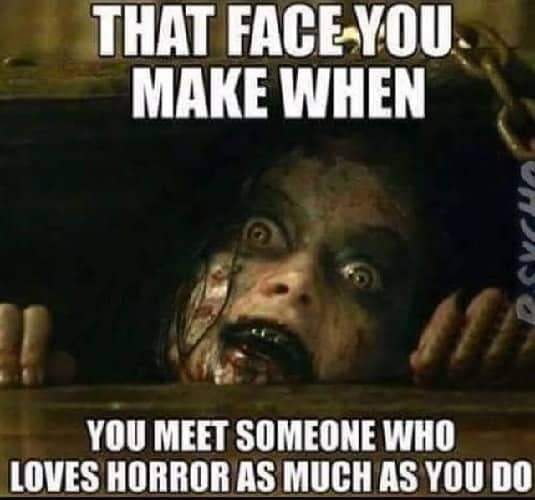 That Face You Make When You Meet Someone Who Loves Horror As Much As You Do. 25. 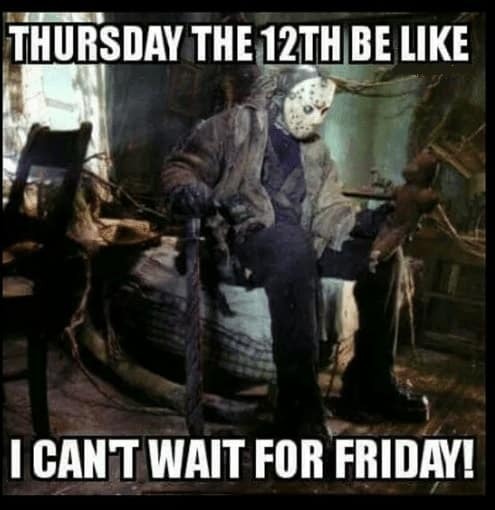 Thursday The 12th Be Like I Can’t Wait for Friday! 26. 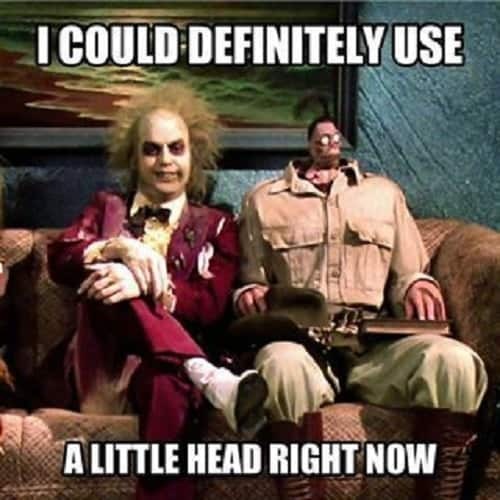 I Could Definitely Use A Little Head Right Now. 27. Well Hello There Foolish Human. 29. 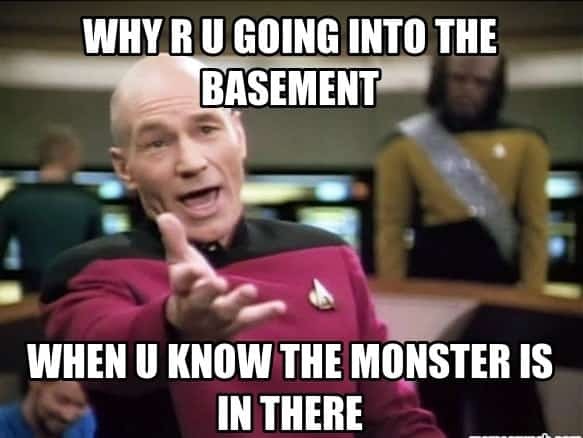 Why R U Going into The Basement When You Know The Moster Is in Here. 30. 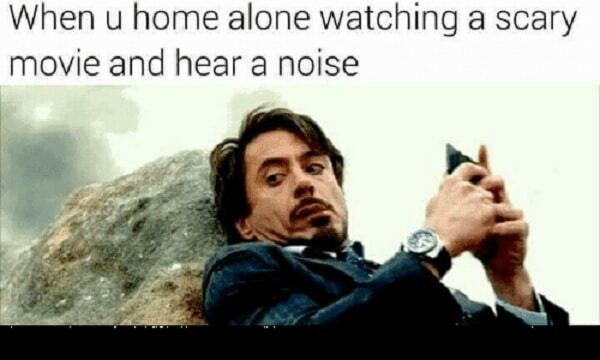 When U Home Alone Watching A Scary Movie And Hear A Noise. 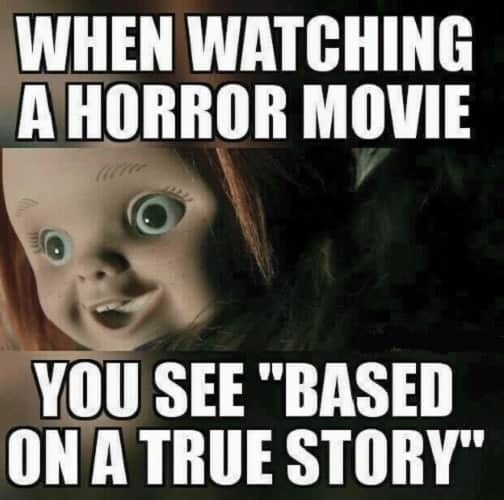 Don’t let these horror movie memes keep you up at night! Or if they do, at least make the most of them and share with your family and friends. You might as well give them a surprise or two. Listen for the screams, of laughter or fright!